I have some Amsoil synthetic 80W-90 gear oil which I got from another brand scooter dealer, is that a good choice ? Check your owner manual. I think PGO calls for the heavier 85w-140. I guess I better play it safe and use the 85W-140. I thought that perhaps the Amsoil 80W-90 being a synthetic, was a proper replacement for the 85-140. Why does my Roughhouse have "Oil CM 110" cast into the housing right beside the fill hole? I note it says CM and not cc . ..Why isn't a dip stick molded into to the filler cap? The gear oil that is in the crank case sits below the gears and the case is tight. Having a dipstick might interfere with the gears and even if you had one and it was made of a plastic, got hot,broke off it might not be a good thing as you might not notice it right away and you could harm the gearbox. Due to the gear box change intervel, it could be up to a year of riding before you would know if any true damage is done. The 2t roughhouse as the buddy 50 share the same gear box but both have an easy to change gear box drain and fill. Unlike oil in a 4T you lose little to no gear oil, so no real need for a dipstick. 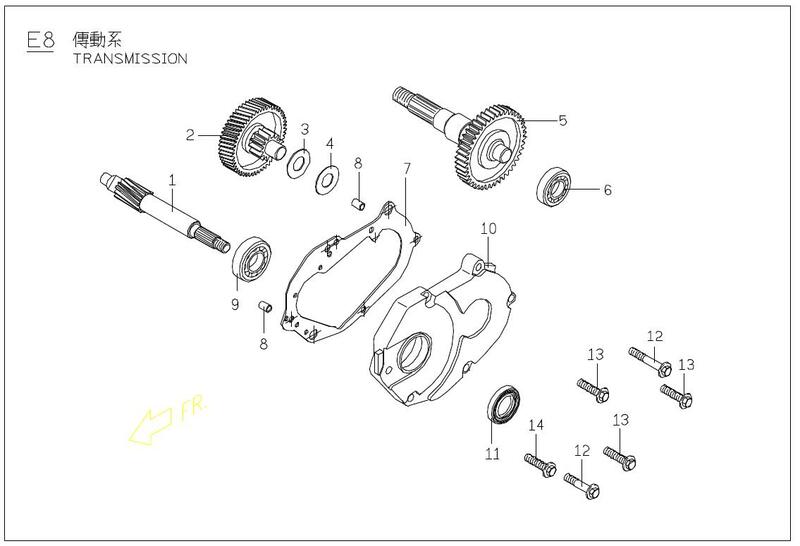 The link is the datagram for the crankcase, take a look at #10 that is the fill. See how tight this is. Not much room for a dipstick. Just a side note : NEVER FILL the crank case to the top as it is under pressure and doing so will cause harm to the case seal's. Drain the old oil out and re-fill at 3.7 oz. Do this every 4,000 miles. Unless you see a puddle of oil under the rear end of the scooter, there should be no need to check the level.